Mahr Inc. 1144 Eddy Street, Providence, RI 02905 + 1 800-343-2050 www.mahr.com © 2018 Joe Gibbs Racing, Inc. Toyota trademarks used with permission. © 2018 Mars or Affiliates. M&M'S Marks used under license. MEASURE IMPROVE SUCCEED In the world of high-performance motorsports, fractions of an inch mean the difference between winning or losing. 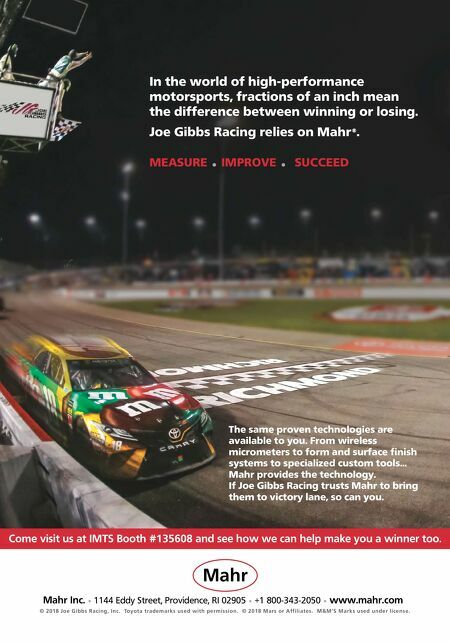 Joe Gibbs Racing relies on Mahr ® . 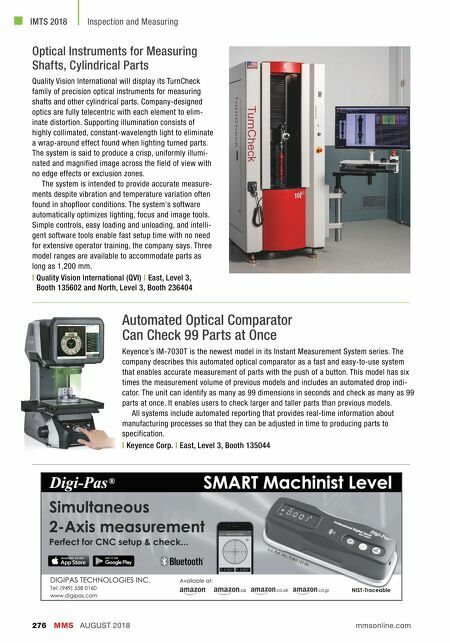 Come visit us at IMTS Booth #135608 and see how we can help make you a winner too. The same proven technologies are available to you. From wireless micrometers to form and surface finish systems to specialized custom tools... Mahr provides the technology. If Joe Gibbs Racing trusts Mahr to bring them to victory lane, so can you.